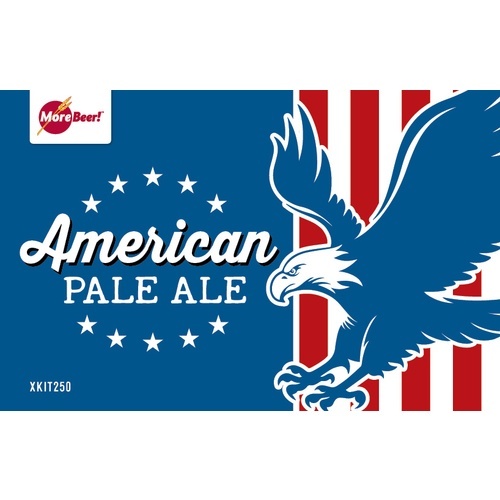 Looking for the perfect Pale Ale to share with friends this summer? Do you like a Pale Ale with a rich malt flavor and a ton of hop character but without an overwhelming bitterness? Then the Pale Ale II should be your next brew. 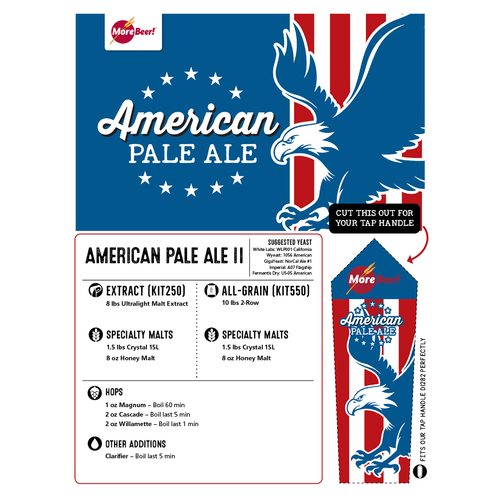 We took our American Pale recipe and upped the malt, threw a ton of hops in the finish for flavor, but kept the bitterness the same. We think toning down the perceived bitterness is one reason we consistently get great reviews from brewers sharing this with friends. Truly delectable and different yet still keeping it real. My original and go to recipe, first time trying all grain. Less hop flavor than many pales. First impression is of malt. In short i had ordered milled, didnt get it milled. Didnt realize this until about to start mashing. Attempted to mash anyways, got a whole 30 points low on my target og. Not my first batch on my herms set up. Had to add 2lbs of ultra light dme to compensate for the low sugar extraction. Overall disappointed that it wasnt milled. This is the first batch I kegged. Brewed BIAB w/ no chill. Came out really good and I kicked the keg within a week or so. Will probably brew it again, if I want a simple and tasty pale ale. Only complaint is that the amount of honey malt might be a bit too much. I'd probably try 6oz next time. This was my first attempt at All Grain, and I made several mistakes. So much so that I expected it to be undrinkable. But, it turned out pretty good. I expect an experienced all grain brewer would get very good results with this recipe. The flavor of this brew is fantastic! I love the "fading hop" effect. We had a brew off at our local brew shop and I brought this brew along for people to try while we were brewing. It wasn't long and the line was forming for a taste of this as the word got out. All I can say is "it was a hit" and I ran out. If you want a little more hop flavor when you brew this beer don't use a hop bag and let the hops stay in the primary, and the secondary and you will get a more robust hop flavor. Either way this is a tasting beer sure to be a hit with your friends. Enjoy! I just placed my 2nd order for this kit because the taste came out awesome. The only problem with the 1st batch is that the beer is crystal clear while at room temp. But within a couple hours the bottles turn cloudy while in the fridge. The problem was caused by our brewing methods . . . Our hot-break was fine, but then we conserved propane by keeping a boil that was less the rolling. Clear beer while at room temp is great, but not when you chill it down and bring it over to someone's house. Besides keeping a rolling boiler full-time, we now add White Labs Clarity Ferm to all of our brews when we pitch the yeast into the fermenter. Need to Adjust Recipe Based on AA of Hops Provided. We brewed 2 kits of this for an 11 gallon batch. It came in at 55 calculated IBUs using the Tinseth formula and 73 IBUs using the Rager formula. This may have been a great recipe when the alpha acids of the hops were lower, but it needs to be corrected. The Magnum hops that we used were 14.2%, Cascade 5.9% and Willamette @ 3.2%. I purposely didn't adjust anything and went off of the recipe and kit exactly as provided. We split this batch and I ended up dumping my 5 gallons because it wasn't up to par with my normal recipes. At one point, I was ready to give up brewing because I had failed to get a satisfying taste. However, after purchasing this kit and brewing this beer, my interests in brewing have once again skyrocketed. I honestly even think it's better than a Sierra Nevada. This is a great tasting brew! This is a great brew to have around the house for hot days and drop ins ( great price too) and I'm always a fan of Willamette and Cascade. Great cascade citrus flavor balances well with a little spice and earthiness from the Willamette. 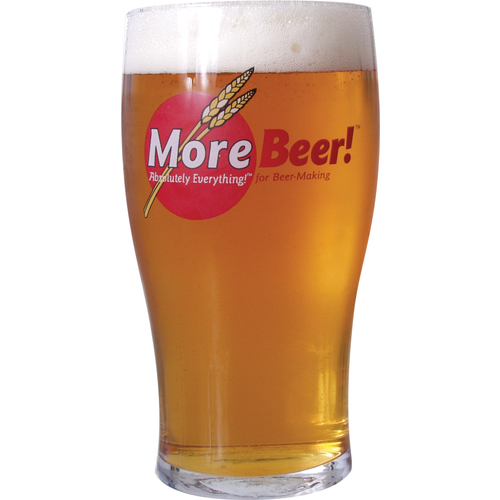 You really can't go wrong with this recipe and its also a great base beer to use if you want to try some additional dry hopping. My OG was low for this at 1.052 (I have outgrown my brew kettle - new one on the way! ), so I was worried that the end product would be a little weak and too bitter. First taste: malt was perfect, but the bitterness was a little much. However, after sitting in the fridge for a few days this beer just keep getting better! It's nicely balanced, the bitterness has faded a bit and there's a great hop flavor and aroma. My final ABV came out to 5.2%. This is an awesome APA that I will brew again for sure.